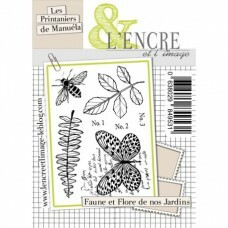 Sheet size 45 x 65mm ..
L'Encre et L'Image Stamps: Pack of 8 Clear Stamps. 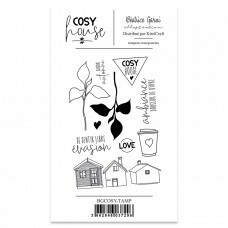 These fresh; fun; and distinctive clear stamp..
10 clear stamps on an A6 size sheet. 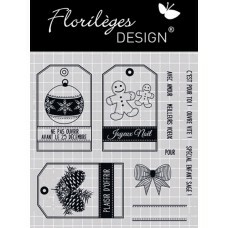 Use: After removing the stamp from its protective sheet, pla..
L'Encre et L'Image Stamps: Pack of 6 Clear Stamps. 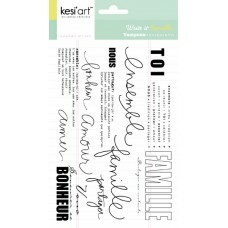 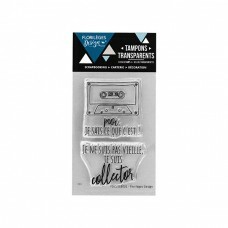 These fresh; fun; and distinctive clear stamp..
Crumpled Paper clear stamp by Woodware Size: 9.6 x 13.5cm ..
Sheet of 2 transparent stamps from the collection "Esprit bucolique" from the French company ‘L..
L'Encre et L'Image Stamps: A6 size sheet of 6 clear stamps. 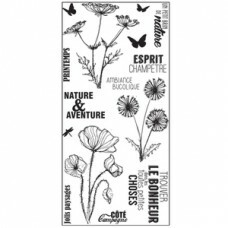 Fresh; fun and distinctive clea..
Sheet size 7,5 x 5 cm After removing the stamp from its protective sheet, place it on an acrylic ..
A transparent stamp from the collection "Esprit bucolique" from the French company ‘Lorelaï Des.. 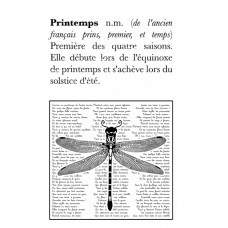 Plate size 10x20cm These stamps manufactured in the United States in an innovative and highly resist..
A 18 x 12.5 cm sheet of clear stamps from Kesi'art. 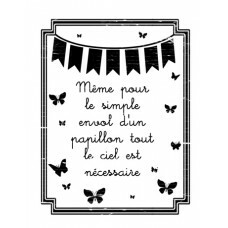 Words and phrases in French. 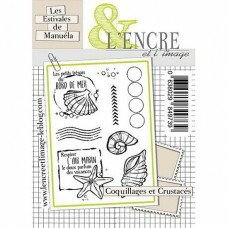 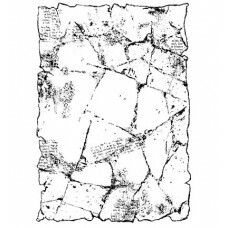 ..
L'Encre et L'Image Stamps: 10 x 14 cm pack of clear stamps. 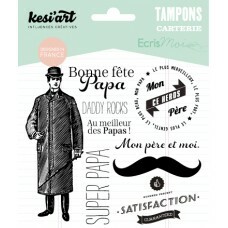 These fresh; fun; and distinctive cl..